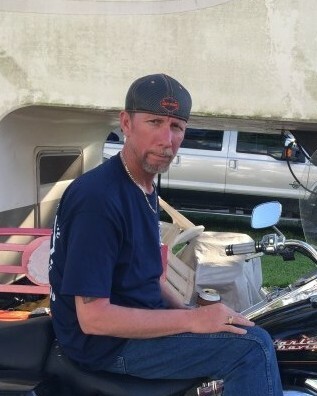 Rusty Wayne Egan, 52, of Baytown, passed away Thursday, April 11, 2019, in Beaumont. Rusty was born July 8, 1966 in Orange, to parents; Donald Ray and Jackie Ann Fitzpatrick Egan, a former resident of Ft. Worth, and has resided in Baytown for the past 5 years. He was a graduate of Orangefield High School, a millwright by trade, and member of Millwright Local Union #1421. He also enjoyed bonfires, barbecues, riding motorcycles, and his dog. Mr. Egan was preceded in death by his parents. He is survived by his wife: Macey Williams Egan, stepson: Jason Spotanski, siblings: Leonard Egan and wife Dawn, Donna Haure and husband Chuck, Christy Gallien and husband Randall, and Dana Reyes and fiancé Zach, numerous nieces, nephews, other relatives, union brothers, and friends.